Get ready for some high-stakes, cut-throat action as the BLADE Tournament Series will take place on Natural8 starting from 14th April - 21st April. Duke it with all the major-league players on the cyber felt, slice the competition, and emerge victorious with a slice of the gigantic $11,500,000 Guaranteed prize money! 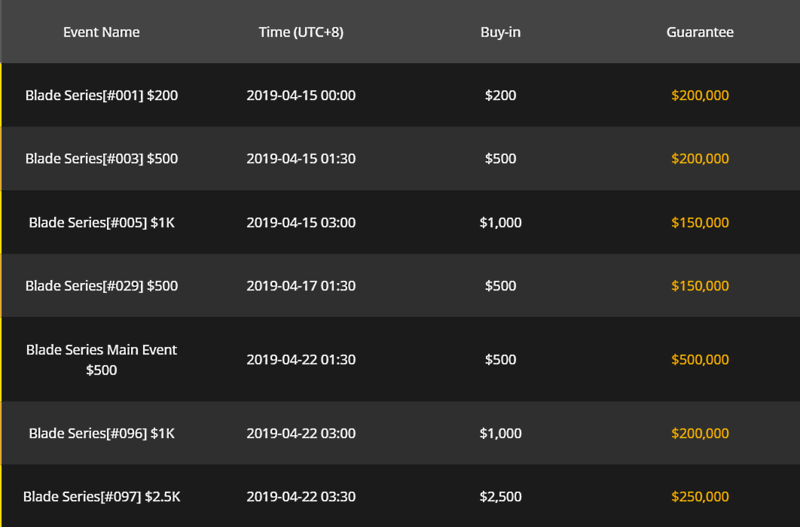 There will be 105 events with broad buy-in ranges ($200 ~ $10,000) that will tailor to everyone's wishes to be soaked in high-roller experience. Want to get in for less? 800 Seats to BLADE Series events are available across 200 satellites for your chance to earn seats at a cut-rate! Check out some of the notable events below, click here for the full schedule.